A little over one year ago, I gave birth to my beloved daughter, Emerie Mikhaela. After spending 19 days in the NICU, my husband and I were finally able to bring our baby home and start our new life as a family. I suppose it was quite arrogant of me to think that being a good parent rested solely in my (and my husband’s) skills and abilities. Of course, we believed it was paramount to raise our daughter in the admonition of the Lord; however, our beliefs were merely theoretical at the time. We had failed to understand the practicality in raising our daughter God’s way. 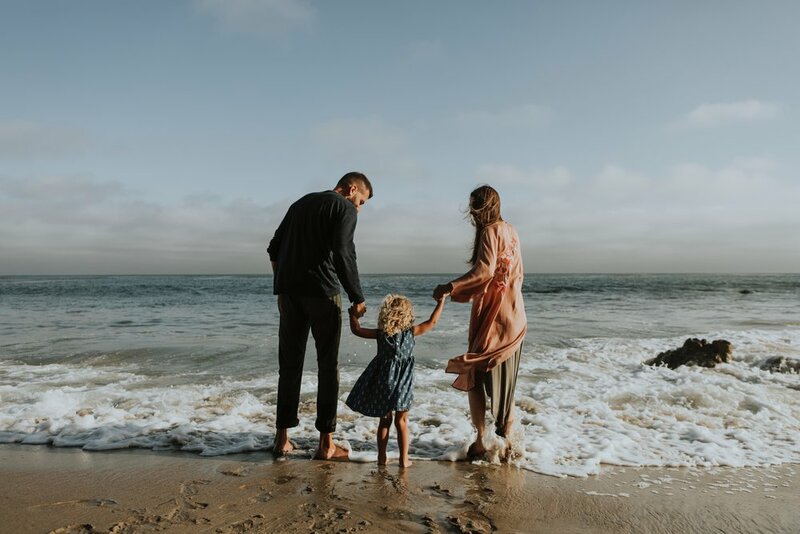 Consequently, the first three weeks at home with our daughter yielded days filled with countless meltdowns and me railing against my husband about the silliest things. One day I remember being so frustrated and overwhelmed that I spent over an hour sitting in the car in the driveway crying. I prayed earnestly that God would help me to navigate through this new season of life. If my husband and I were going to parent our daughter well and in a godly way, then we couldn’t do so without complete dependence of God. The truth of the matter is that parenting God’s way is more than just tips, techniques, and even experiential knowledge. 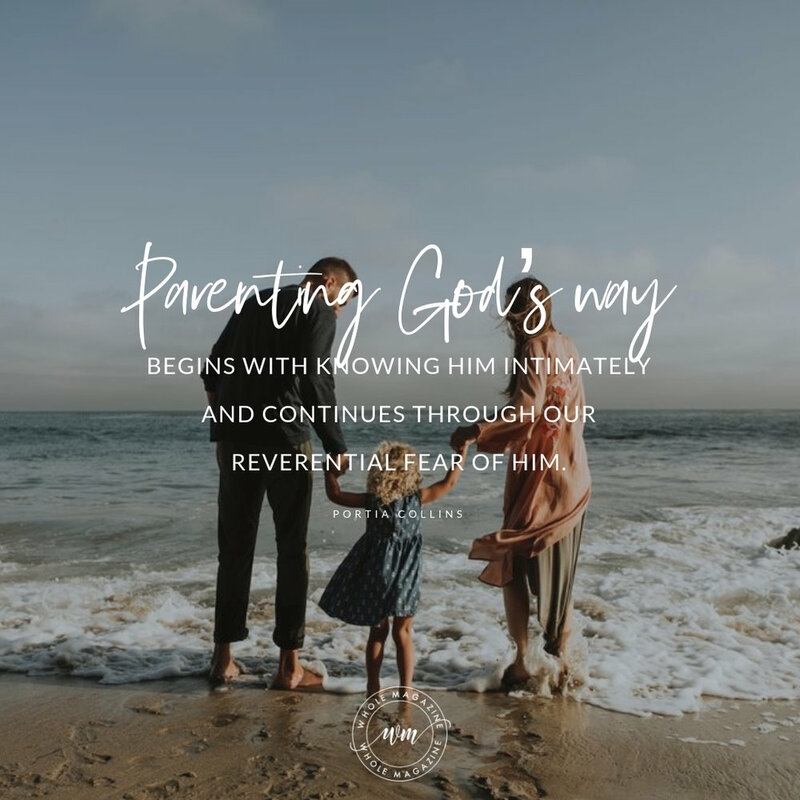 Parenting God’s way begins with knowing Him intimately and continues through our reverential fear of Him. As much as we’d like to think we know it all, we don’t. We are flawed, fallible humans who are in dire need of direction. More specifically, we don’t just need any type of direction; we need God’s direction. God has shown himself to be the perfect Father time and time again through his patient guidance, firm chastening, and endless love. The best principles for parenting can be evidently seen through the fatherhood of God. And we would do well as parents when we emulate his ways. This is precisely why we must commit ourselves to the consistent study of God. We must truly know him according to the truths outlined in Scripture. We should diligently study his ways and his commands. We should endeavor to grow in the knowledge of God so that our minds and actions are transformed. Good parenting can only come to fruition when our ways our informed by our good Father! "The fear of the Lord is the beginning of wisdom, and the knowledge of the Holy One is insight. For by me your days will be multiplied, and years will be added to your life. If you are wise, you are wise for yourself; if you scoff, you alone will bear it." This verse (along with many others) brings home the crucial point that the fear of the Lord is an essential and foundational component for achieving true wisdom. Wisdom is an attribute belonging to God, but it can be reflected in humans by the power of the Holy Spirit. It’s one thing to be wise in our own eyes, but it is so much better to be wise in the eyes of the Lord. If one truly desires godly wisdom, then fear of the Lord cannot be bypassed. Reverentially fearing God frames our parenting in a way that is most glorifying to Him. Parenting in a way that glorifies God is choosing to seek him and reverence him in all things. Furthermore, parenting God’s way symbolizes we recognize our roles as parents as one not to be boasted in, but rather one that has been given to us by God. We are merely stewards over our children; they belong to God first. Knowing we are accountable to God as we parent our children helps us to parent with humility and grace. Good parents are not perfect parents. Good parents are godly parents. I can’t offer you the perfect recipe or formula to help you parent impeccably, but I can point you to the One who is perfect! 1. Lean not to your own understanding (Proverbs 3:5-6). Don’t focus so much on your abilities or lack thereof when parenting your children. Focus on God. Know your strength and ability to parent well is found solely in him. Pray earnestly for godly wisdom, and seek his daily guidance. 2. Be humble and gracious with yourself every day. Know that growing into parenthood is a lifelong, God-reliant journey. There will be days when you feel like a rockstar parent, and there will be days when you feel as if you totally missed the mark. Take both days in stride, and don’t fall into the trap of performance-based parenting. Every part of your journey as a parent is important, even the “not so pretty” moments. 3. Kill the idol of comparison. Don’t compare your way of parenting to others. God is the standard, not other humans. It’s okay to receive wise counsel from other parents, but we should seek to emulate God in our parenting more than we seek to be approved and admired by other parents. Our ultimate goal is not to be named “Parent of the Year” but rather to raise godly children who glorify and enjoy God forever! 1. Packer, J. I. (2013). Knowing God. London: Hodder & Stoughton. 2. The Holy Bible: English Standard Version. (2016). (Pr 9:10–12). Wheaton, IL: Crossway Bibles. Portia Collins is a Christian Bible teacher, blogger, and a true “southern girl” at heart. She is undeniably passionate about teaching, discipling, and helping women grow in grace and in the knowledge of our Savior, Jesus Christ. In 2016, Portia founded She Shall Be Called (SSBC)—a women’s ministry dedicated to helping women become biblically literate. Although she is a full-time working wife and mom, she is never too busy to enjoy a few of her favorite things. She enjoys cooking traditional southern dishes, getting lost in a good book, and blogging. Portia and her husband, Mikhail, have a daughter and currently live in the Mississippi Delta.